I spent a vast portion of my youth wandering around the globe. Working hard to save and fund the salve for my itchy feet. It would be nearly impossible to qualify the impact of being immersed in so many different cultures and environments. From riding horseback on the most isolated inhabited island (Rapa Nui); to sleeping in a cold concrete hostel in the Anti-Atlas Mountains of Morocco; I studied people, communities and families. Everywhere, we all crave the same basic desires for ourselves and our families. Health and safety for our children, and a desire for bright future. I saw myself in faces of people in Gamagori, Japan; Pucón, Chile; and Inverness, Scotland. We are made of the same matter, breathe the same air, laugh at funny things, and respond to kindness and compassion. 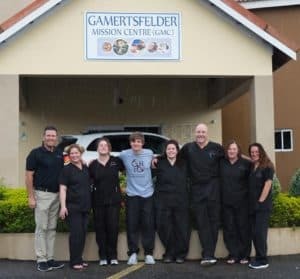 While the majority of our ReVision Gives Back charitable donations stay in our local community, we have been honored to globally expand our reach. The incredible opportunity to serve the people of rural Jamaica has drawn us on five wonderful occasions. While treating a common eye ailment surgically, we have taken so much more than we have given. 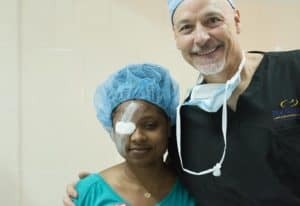 Through the gracious introduction by Dr. Doug McCloy and The Mission of Sight, we have made lifelong friends; experienced the infectious joy of the people; and have an endless craving for the flavorful Jamaican street food. We have also been able to share these wonderful excursions with our family, friends and team members. Something truly magical happens when a group of people work together for a common goal and truly immerse themselves in everything the experience has to offer. Whether at home, or abroad, ReVision Gives Back is committed to helping people achieve and maintain the most basic of needs. Being able to combine my wanderlust with such an awesome cause has been one of my most rewarding experiences. I always look forward to the next adventure and the prospect of paying forward to those in need.